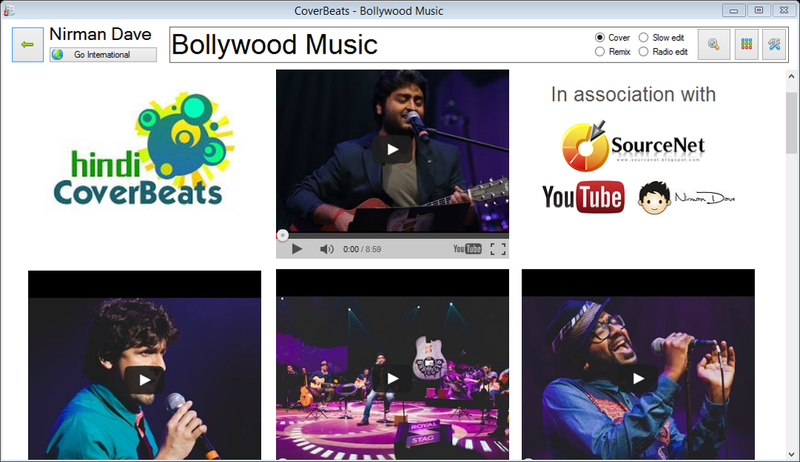 CoverBeats is a simple and easy-to-use windows desktop application that allows you to search and listen to your favourite music covers. 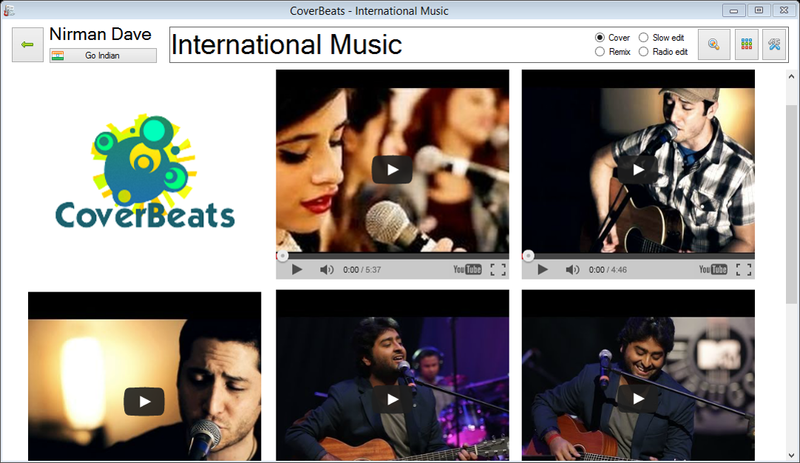 Facilities such as 'Go International' and 'Go Indian' allow you to choose songs from your locality. Additionally the speed search, quick buffering and awesome sound technology combined with the magical video quality of Youtube give you a ground breaking music experience like never before. Go on, try it out yourself. Q: How is this different from YouTube music search? A: The web browser component has been establish to only navigate to YouTube and no other links, hence the video buffering speed is increased drastically. Additionally, the application consists of a personalized music home page that updates automatically every month according to your choice and taste. Therefore, this application is not just 'YouTube music search'; it is a lot more. 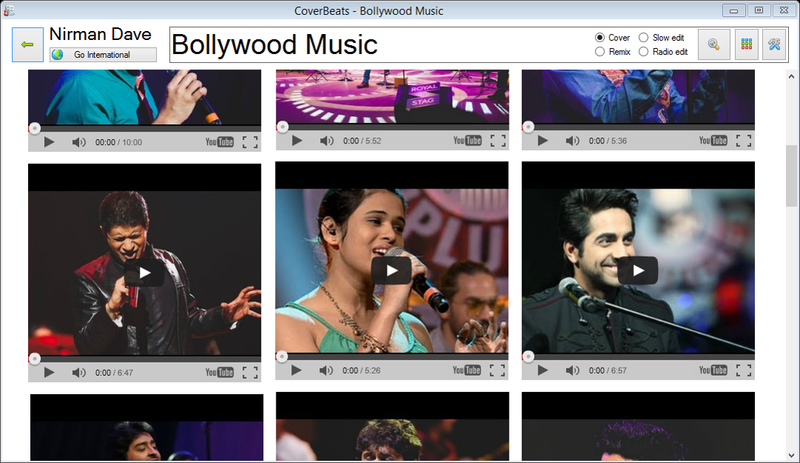 "'CoverBeats is an interesting and useful application whose main function is to provide you with the ability of quickly finding a wide range of covers for your favorite songs, from other artists, be they famous or unknown." 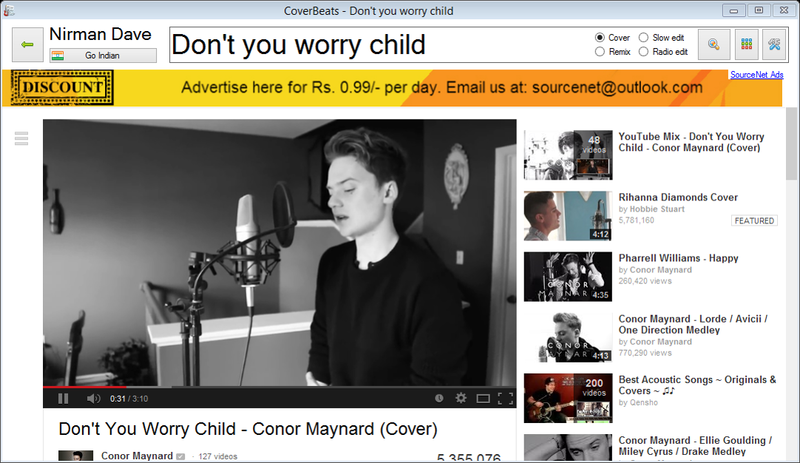 CoverBeats by Nirman Dave is licensed under a Creative Commons Attribution-NonCommercial-NoDerivatives 4.0 International License. Permissions beyond the scope of this license may be available at http://www.sourcenet.in/2014/02/coverbeats.html.